A quick break from the travel posts to share with you one of my favourite quick meals. This is my ‘go to’ meal for when I’m exhausted and can’t be bothered to make what my mum would class as ‘proper food’! 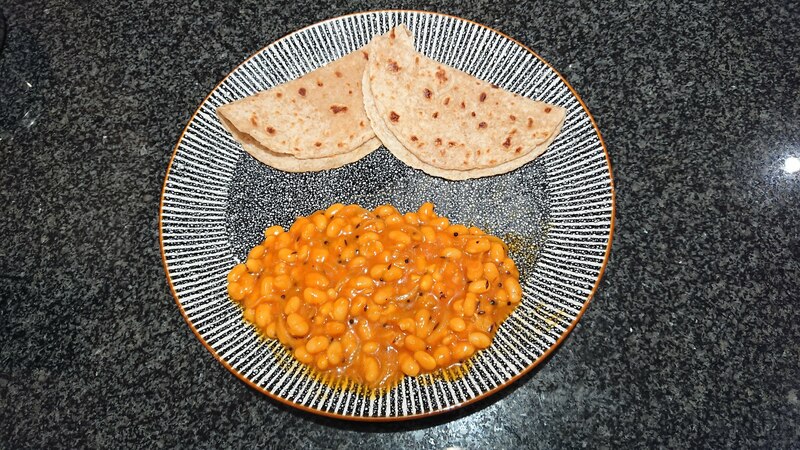 No judgement here – I know that baked beans are in no way a traditional ingredient in Gujarati cooking but it tastes delicious! Put a small pan on a high heat and add the thel. When it’s hot, add the rai (they’ll pop so have the lid of the pan ready to cover as soon as you put them in). Once you hear the rai popping, add the jeeru. Add the dhana jeeru, hardar, lal chutney and beans and stir well. 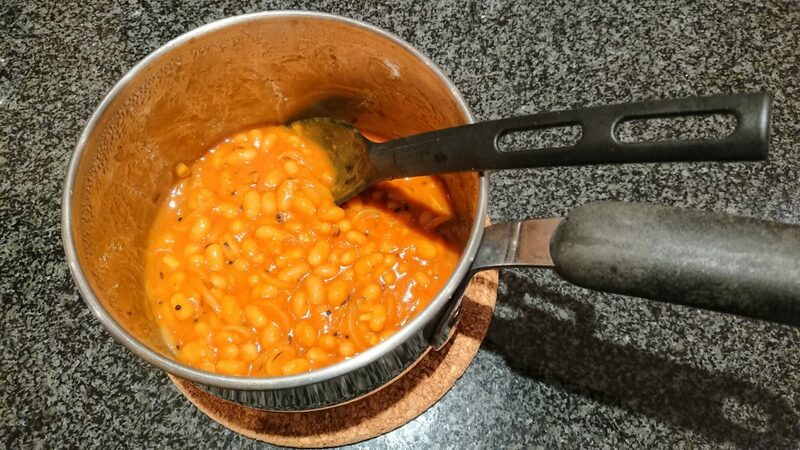 You can also add nimak (salt) to taste but I normally find that the beans already have enough in. Turn the heat down and let the shak simmer for 5 minutes. Serve with whatever you fancy! I normally have it with pitta bread or toast or heat up some frozen rotli… Of course nothing beats fresh rotli but I normally only make this when I’m in a rush! Next Post Am I Indian?